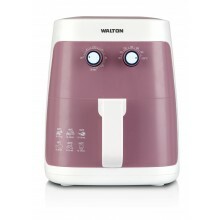 The all new WALTON air fryer cooks crisp, mouthwatering fried food in a new healthy way. By cooking without or minimal oil using hot air circulation and a top grill, the dangerous hassle of disposing of hot, odoriferous cooking fat is eliminated. Now you can enjoy the deliciously tasty food you love without all the extra fat that comes from deep frying. The dry hot air cooks food golden-brown with 80% less fat than if it were deep-fried. 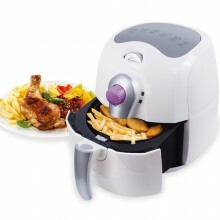 Cook all your favorites from chicken wings, French fries or spring rolls with the same crispy exterior and moist interior made by conventional deep fryers.